Spring is the season of renewal; the birds are singing, the flowers are blooming, our bodies are feeling more energised — and we can finally refresh our wardrobes in celebration of the warmer weather. This following ethical brands have been on my radar for a while in anticipation, and finally (!) it's time to reveal my edit of sustainable pieces that I know I'll wear this season and beyond. Read on to shop my top picks. Mara Hoffman is one of my favourite designers for easy, flowing, elegant pieces that say bring on the warmer weather— and each piece is created sustainably and ethically. This top deserves the award for best print ever - if you know me you know I love a bit of jungle. And then there's the fact that it's made with nature in mind - using less carbon dioxide, less water and less waste than the industry standard. Made in Brazil in collaboration with local fair-trade NGO ESPLAR, these trendy yet timeless trainers are made from sustainable materials - a capsule wardrobe must-have. Wear with your favourite jeans or add an edge to a pretty sundress. Champion of sustainable fashion, Emma Watson wore these edgy earrings on The Ellen Show, so they are definitely a must-have. Part of the proceeds from this jewellery goes to help Laotian artisans livelihoods. A fresh take on a classic which never goes out of style. Made locally in London, this 3/4 sleeve striped tee is made using British materials and recycled buttons and labels — a true "green dream!" Being predominantly Vata Dosha I'm going to need long sleeves all year round - yes even in the warmer months I still need knitwear! This fair trade and eco-friendly jumper is the perfect little number to throw on for a casual and still-chilly spring evenings. This tote is part of Mola Sasa's new capsule collection, specially created to celebrate Earth Day on 22 April. It was handwoven ethically by women in Colombia, using local materials — it's lightweight, looks chic and infuses South American vibes into your spring wardrobe. 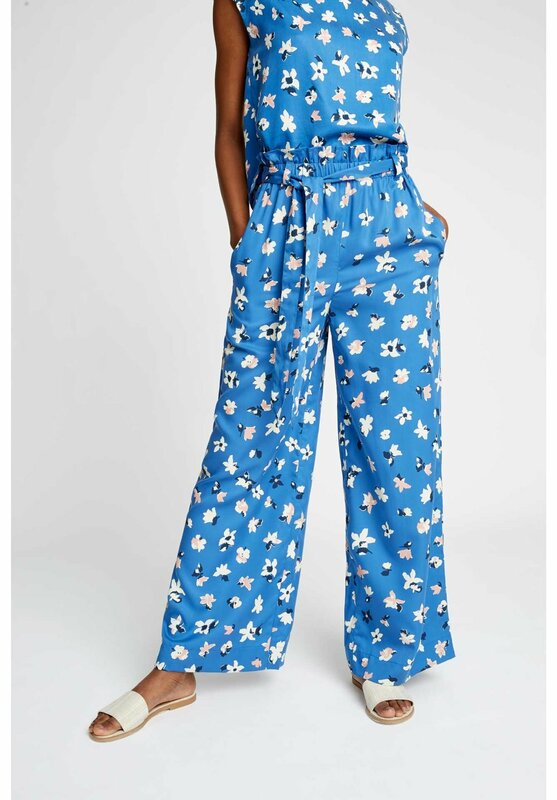 Keep it casual, keep it pretty - roll in and out of bed in these pyjama style trousers that will keep you cool whilst you're running around. Crafted from sustainable tencel fabric, they are the ideal one-stop-shop to inject spring florals into your wardrobe. Plain jeans are so last season! This starry pair is just what you need to step up your denim, crafted with love in Italy.